I have never given up on a project, job or academic qualification, until this winter. As Christians we are encouraged to act with integrity. As ordination candidates and ordinands we have to be honest about our strengths and weaknesses. As a curate, I’ve been put through the Myers Briggs ringer which told me roughly what I knew already, once the ‘boarderline’ was accounted for. So why, when candidates explain that they learn best in a particular way, know through years of experience that they won’t be suited to certain academic routes, are they pressurised into a certain route? Is an academic qualification really a good measure of what makes a decent priest? I started ordination training on an MA track knowing it didn’t suit me, but being given no choice since I already had an FdA in Ministry awarded in 2010. A year ago (tomorrow) I explained how difficult this was proving, and downgraded to attempting to complete a PGDip. I have never progressed much further than I had then. I quit the academic path completely just before Christmas when I broke down for the umpteenth time over a portfolio whose subject matter I was really interested in. Try as I might, I simply couldn’t retain the theological ideas to critique it long enough to do more than go round in circles of thought. It was my supervisor who asked: did I actually need the PGDip to satisfy my Diocese or Bishop? The answer was no, they didn’t, but no-one had suggested that before. In fact at my pre-ordination interview the Bishop had shown his concern over my lack of academic progress, and he charged me to complete the work. Yet, when asked by our Training Officer in December, it appears he happily agreed that I quit where I’d got to, so I could simply focus on my parish work and IME. I haven’t engaged deeply in how the Common Awards are working out. I know last summer Cuddesdon were hoping that where candidates were ‘upgrading’ from previous ministerial qualifications (as I was), an alternative to the concentrated academic rigours of an MA could be offered over the 2 years part-time or (when pushed) mixed-mode that Min Div will fund. I hope so, because it’s oh so nearly broken me and knocked away what little confidence I had in being able to fullfil my calling to ordained life. Teaching needs to be linked directly to the academic output expected (at whatever level is really appropriate to the candidate, and not simply wishful thinking on advisers part or sought for misplaced kudos), not structured in counterpoint to lecture material as I experienced. Don’t get me wrong, the lectures were largely excellent, just rarely related to to what I was reading or writing up for a particular portfolio. For those whose brains are ‘wired’ like mine, that creates an incredibly high hurdle. Those who struggle with anything academic shouldn’t be put off, or emotionally and spiritually fractured, by either not being selected in the first place because of it (which anecdotally I fear happens), or by being placed by the system onto an inappropriate level of training that hasn’t listened to a candidates own self-knowledge of how they learn – especially in older candidates for whom the greasy pole of preferment isn’t realistic and is certainly no attraction! My experiences have left me with several psychological hurdles to climb as I’ve started my ordained life. Thankfully important things like faith and family life have remained intact, just. 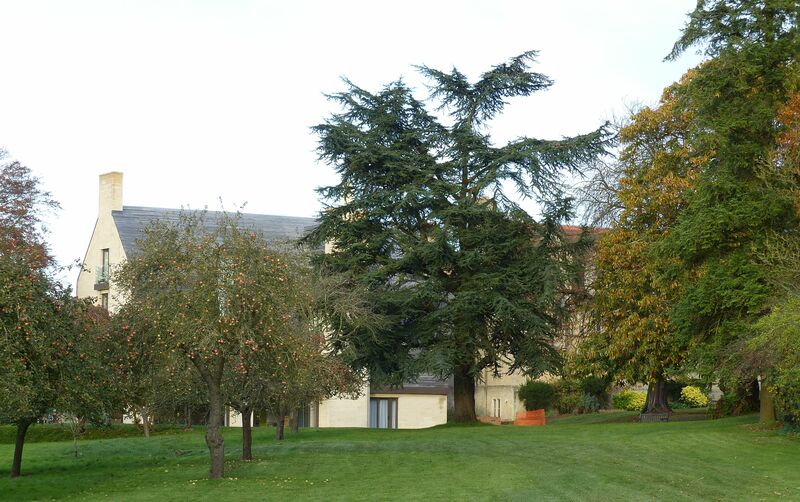 I have also made good friends through college, and wouldn’t have wished to study anywhere else – Cuddesdon is a great place. And, I’ve not quite left empty handed; 4 portfolios at M-level apparently make up a PGCert, but rather than the success I should be regarding my ‘Merit’ as, I have to say the system has made it feel far more like failure. The parable of the weeds and wheat as an inspiration to grow in patience and maturity. 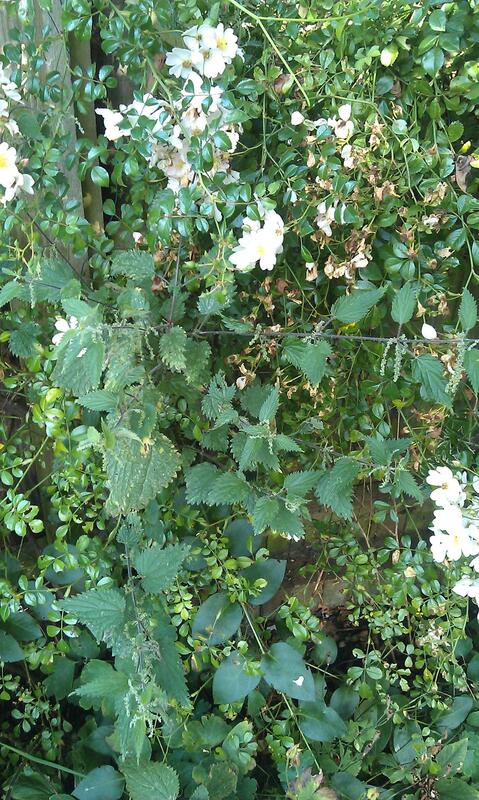 The stinging nettles flowering amongst my rambling rose! There’s something about training for ordination that means there’s much more willow herb and considerably more stinging nettles growing in my garden than there were two years ago! I could explain that it’s for the benefit of the moths and butterflies whose caterpillars thrive on both, but… er… that would be a fib, and I guess it’s best not to start my association with this pulpit by telling lies. So, no, it’s simply that there aren’t enough hours in the day, at least not ones with any willpower and energy lying around spare, for my garden to look as weed free as I would wish it to be. Some would say that a weed is simply a ‘plant that is in the wrong place’, and to some extent that is true of the weeds in our Gospel this morning, growing among the wheat which the farmer has had sown. But, these weeds present a difficult problem. The chances are that the weeds of which Jesus spoke, looked not dissimilar to the wheat that the farmer was trying to grow. Unlike my stinging nettles and willow herb, darnel, which some think this Biblical weed to be, is a plant that not only looks incredibly similar to wheat until it’s seed heads ripen to almost black, but it is very vigorous, has stronger roots than wheat, and is regarded as poisonous because it plays host to a nasty fungus. You can quite understand why this isn’t something you want mixed up in your wheat crop, and why, on discovering it, the immediate reaction is to get it out as soon as possible. But no, the farmer is adamant that the weeds are there to stay until the end of the growing season when the field is mature and ripe for harvest. Only at that point, when it’s really obvious what is weed and what is wheat, and root damage to the wheat is immaterial, will the labourers be allowed to rip out the poisonous darnel and burn it. Then the wheat can be harvested and stored to sustain the community. It’s a management technique that requires patience, and an understanding of how both plants grow. God has a habit I’ve discovered, of not being very good at conforming to any timetable that WE might wish to set him. Otherwise I wouldn’t be here to be honest; I’d still be tucked away in St. Peter’s in Yateley. As far as I was concerned, THIS (point to clerical collar) wasn’t meant to happen for several years yet, IF AT ALL! God however, is just as adept at taking a lot MORE time than we might think ideal about sorting out some things. I am sure as we watch the news from Ukrain, Israel/Palestine, Iraq or Syria, or hear that another friend has been diagnosed with cancer, MS, dementia or some other debilitating disease, we wish and pray that God would simply get on with stepping in NOW, to solve the problems and diseases of the world. He doesn’t, because though he dislikes the weeds in the garden of his creation even more than we do, he doesn’t want to destroy the things that are maturing nicely before they are ready for harvest. Or, more accurately, he is active in the world, but he’s active in ways we perhaps find difficult to recognise or understand. There is a reason why patience is part of the fruit of the Holy Spirit – and it is because it forms part of the character of God that we are called to reflect in our own lives! God’s judgement is delayed because he is patient. This parable isn’t particularly about who’s going to be in, and who out, of the Kingdom of Heaven; who’s good and who is bad. Rather, it is underlining the fact that God is waiting for the wheat to mature into a crop worth harvesting, one that can be clearly distinguished by it’s character from the weeds that otherwise look similar but are different and have become poisoned. Much as we want it to be, the evil in the world around us is not going to be weeded out overnight by an army of God’s labouring angels. We’re not going to be isolated from the rubbish of the world, we HAVE to live alongside it, with the same patience as God. But this isn’t an excuse to sit back and do nothing, to live, as our Epistle puts it, according to the flesh. Led by the Holy Spirit we are instead called as children of the resurrection NOT to be fearful, but to be adventurously expectant, to grow as strongly and as fruitfully as we can towards maturity, so that we will be recognised for what we are: children of God, affected, but uninfected, by the evils of the world; a part of God’s coming harvest. This parable isn’t about the stuff we do wrong, or a finger pointing exercise about what others foul up. It’s about the stuff we do right, the stuff that reflects the faith we proclaim. This parable is saying there’s time to do MORE of it, BECAUSE God is patient. For example there’s time to take part in the Pilgrim Course, to share and learn more about Christ, the how and where of his work in our lives. There’s time too, carved out though it might need to be from our own timetables of living, to make our faith more recognisable to others than it is already. On the world stage that MAY mean that those people who are appropriately placed should step out, trusting God’s strength, to help humanity change for the better; equally it probably DOES mean that we should hold those situations, and the people that can make a difference to them, in prayer. It’s worth remembering that this parable doesn’t liken a farmers wheat field to the church, because in Jesus’ time the church didn’t exist! The wheat field is the world, the world of Old Basing and Lychpit, as well as further afield, and it is in THAT context that Christ will one day be looking at us to see whether we are discernibly different to the weeds that he knows he will sadly need to destroy. That’s why we are called to engage with our local schools, the food bank, and probably a myriad of other community activities I haven’t seen yet, in ways that mark us out as people of Christ. There is a deep challenge to us all within this Kingdom parable; but rather than being a source of gloom and fear, this challenge should be a cause for hope. Whatever stage of life and faith we are at, because of God’s patience there is time to grow towards maturity in our love of Christ, and the degree to which we reflect God’s character. If we will allow ourselves the freedom to grow, the Holy Spirit is eager to be at work in us, enabling us to be part of the harvest that will be stored in God’s presence as part of his glorious Kingdom. For Winchester Diocese, like Portsmouth, ordination retreats are held at the beautiful Park Place and Wickham in the Meon Valley. Last week was my Diaconal retreat, shared with those being ordained to the priesthood in our diocese. There were periods of silence, reflection and free time to restore the soul and focus on the role to which I am called. Anna Norman Walker, Canon Mission of Exeter Cathedral was our excellent retreat conductor, and for me managed just the right balance of humour, Biblical reflection, personal stories, poetry, images and music. Using the ‘scaffolding’ of the Eucharist our 5 reflections focused on the words “take”, “thanks”, “blessed”, “broken” “shared”. I would particularly commend the poetry she used, which was by Gerard Kelly (“Spoken Worship” was the recommended title – something I shall be buying for future use). Anyway, before succumbing to a lurgy that meant I would have to be nursed with prayer and paracetamol through the ordination day itself, I took a couple of lovely walks in the afternoon free time we were given, along the edge of the neighbouring Wickham Park Golf Course and down to the River Meon at the bottom of Wickham itself, before winding back along the disused railway line to the golf course and pastoral centre. The golf course, it’s bramble and grass lined edges and it’s water features in particular, were a haven for wildlife, and alongside the insects shown below, I also saw Ringlet butterflies, Beautiful Demoiselle damselflies in courtship chases by the Mean, an Emperor dragonfly and a Broad-bodied Chaser dragonfly that took a Meadow Brown butterfly on the wing over a pond before taking it high into a will to shuck it’s wings and eat it! Freshly hatched I think – a Marbled White. 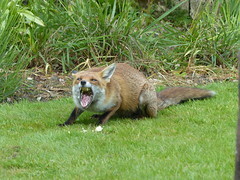 There were literally dozens of these on the edge of the golf course. Pair of Small Skippers – lots of these common but often un-noticed butterflies around. Large Skipper – a first for me, at least of a confirmed photographed sighting. Slightly bigger than it’s small cousin and with more marbled wings. Azure Damselfly – but you can only tell this by looking very closely at the markings after taking the photo and downloading it! Over the last two weekends I have had the privilege of sharing in two Forest Church meetings. My grateful thanks go to Steve Hollinghurst of St. Alban’s Forest Church, and David Cole of New Forest Forest Church, for making me most welcome. Together with Bruce Stanley’s book ‘Forest Church – A Field Guide to Nature Connection for Groups and Individuals’ which I have avidly read, these brief forays with those seeking to deliberately seek out the revelation of the Divine in creation are the necessarily limited encounters I can make in the limited timespan available for me to complete a ‘Mission’ portfolio on them prior to ordination at the end of June! The portfolio is not however the only hoped for outcome of this restricted ‘field work’ as I look forward to curacy in what I think of as a rural parish on the outskirts of suburban Basingstoke, which I already know to be stuffed full of wildlife and other encounters with the natural world just waiting for me to engage with God through them. However, much water has to go under the canal bridge before I might begin to explore any fulfilment of that element of this research! Both Steve and David were kind enough to suggest that I contact Bruce, and other Forest Church leaders, with questions that might help me unpack the extent to which Forest Church, is missional. To my current understanding this means that the intention behind Forest Church groups, and the inspiration for their facilitators, should lie somewhere on the continuum between the ‘propagation of the [Christian] faith’ (Bosch 1991, p1) which implies something being deliberately planted from a mature source either as a seed, cutting or graft, and “finding out what God is doing, and joining in” (which is I’m pretty a sure a John V. Taylor-ism, but I can’t currently locate it), which to my mind implies something more ad hoc, though both should be Spirit led! 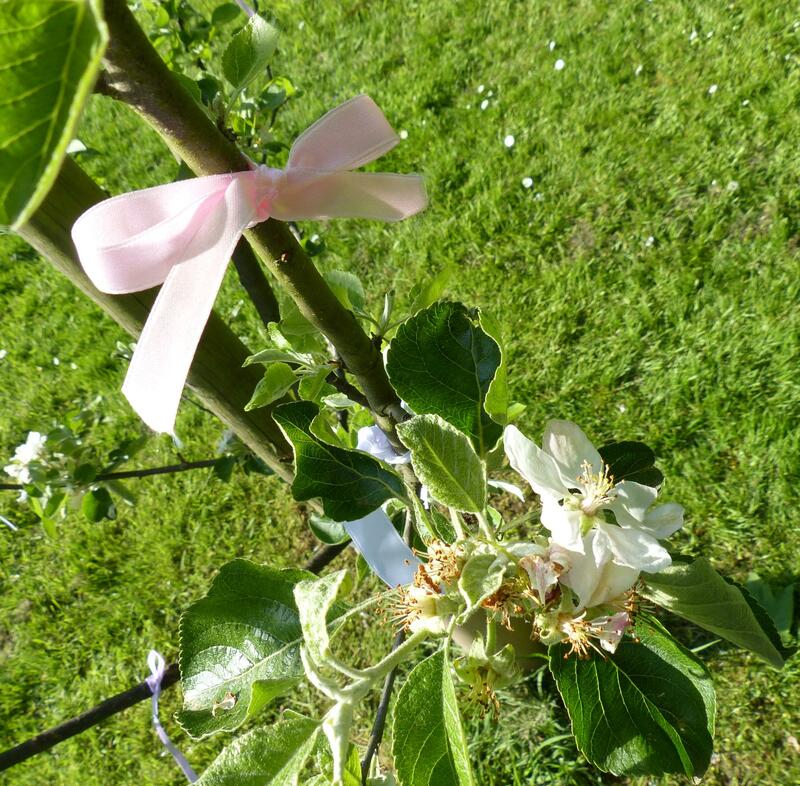 Tying our prayers to the seasons with ribbons tied to a young apple tree in the orchard of St. Peter’s Church in St. Albans – springtime and fruitfulness all in one. When I met Steve in St. Alban’s he was adamant that that group was intentionally missional in seeking to share the Jesus-tradition (as Bruce describes it eloquently in his book) with those who find encountering God in nature as a spiritual practice more attractive to them than sitting in a stone or brick-built creation of man. This appeared to be born out in the liturgy chosen for the May Day and Mary-tide celebrations in which I joined, where Jesus was mentioned by name, and links made through the Christian tradition with Mary the mother of Jesus, as well as with the fruitfulness of creation as we tied our prayer ribbons to the apple trees in the churchyard orchard. At Hatchet Pond near Beaulieu with David last Sunday however, as we gleefully defied the elements, the link with the Jesus-tradition was less obvious. David certainly talked of God (I think, rather than the Divine), of purification, of the movement from darkness to light and death to life, which, as well as being a very seasonal theme of Beltane is one associated in the Jesus-tradition with salvation and the forgiveness of sins. However, whilst referencing the Bible briefly, Jesus was not I think mentioned directly and no prayers of any sort were offered, nor any Christian scripture or reflection; we were simply encouraged to go off and reflect on how we might engage with these general ideas. For me, aware as I am of my own current point of transition into ordained Christian ministry, the idea of transition visible in the blossoming and procreation visible in nature, was a very good metaphor of what (I hope and pray) God is doing in my life at present. Because I understand God revealed in Christ as well as in creation I am able to make that connection, but what of others? Both St. Alban’s and the New Forest ‘Forest Church’ groups seemed to include both committed Christians who seem to add (or retain) God’s creation to their repertoire of mechanisms for encountering God, and those who are searching from a wide spiritual playing field for an encounter with the Divine appropriate to their interests and needs. I was particularly struck by the couple who gathered at Hatchet Pond seemingly in need of spiritual solace from the natural world after having had their cat put down the previous day. If and how that need was met I was sadly unable to discover due to my own lack of acuity in understanding the usefulness of finding out. However, no mechanism appeared to exist beyond the handing out contact details if requested, for furthering the reflections of those I would describe as in pastoral need, and thus the community building that I associate with ‘church’ appeared inhibited. Are Forest Church groups deliberately missional in their intention to share what an evangelical might describe as the Gospel, and which a Forest Church facilitator might prefer to call the Jesus-tradition? If they are deliberately missional, how might this be encountered in an individual Forest Church meeting, and/or in regular attendance at a particular Forest Church gathering? Some examples would be wonderful! Is forming a community built on the foundation of Forest Church gatherings a desirable part of their activities? Finally, because sadly such questions can’t be easily avoided in a mission portfolio and it’s hardly likely to be a ‘bums on pews’ count, how would you go about measuring the ‘effectiveness’ of Forest Church? I am aware that part of what Forest Church is trying to do is engage in dialogue between ancient Pagan faith and Celtic Christian practices, some of which might be compromised by any idea of deceiving people into engaging with the Christian faith as Steve has discussed on his blog last year, but I hope that interested Pagan friends and commentators might be open to the idea that sharing in Forest Church style encounters is as much a sharing of their faith base, as it might be in being open to aspects of the Jesus tradition. I am hoping that between all those facilitating, attending or simply interested in Forest Church groups, it might be possible to share stories, ideas and motivations on these questions, which is why I’ve posed them via a blog post. Please use the comments facility below, as I may need to supply a link to this post as evidence for such dialogue as little seems to have been written thus far in traditional academic sources! However, if you would prefer to do so privately, please say so in the comments (where only I can see your contact details) or in a direct message on Twitter @ramtopsrac, and I will email you. Lent was this year, a dark time. There was a lot of wrestling for me to do, and a lot of just getting through all sorts of anxieties and pain – mental and physical. My husband and I gave up on our daily ‘Giving It Up’ blog conversation; not because we had a problem with Maggi Dawn’s lovely book, but simply because there weren’t enough hours in the day. He was up to his ears in coursework marking, and other secondary school related strain, and I recognised that it was taking me round in ever decreasing mental circles that weren’t particularly healthy, and were a distraction from the job in hand, namely writing my Old Testament portfolio. But, by late Good Friday this portfolio was complete, and handed in last Tuesday as term re-started. 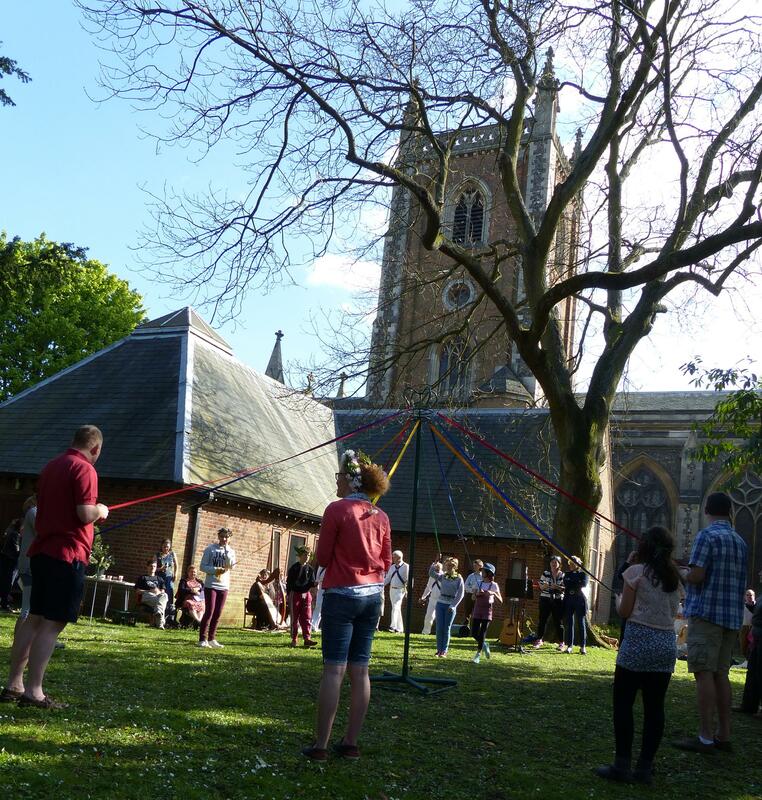 Easter School marked a significant point for all of working to the end of our final year of ordination training, and brought together people from the OMC/RCC part-time and mixed-mode formats, and those from WEMTC also part of the Cuddesdon family. Since the other year groups have Summer School later in the year (after ordination season), this signals the beginning of the end for those of us due to be ordained this year. The focus was Mission, which I’m sure would please my diocesan bishop, and our wealth of visiting speakers were very good. 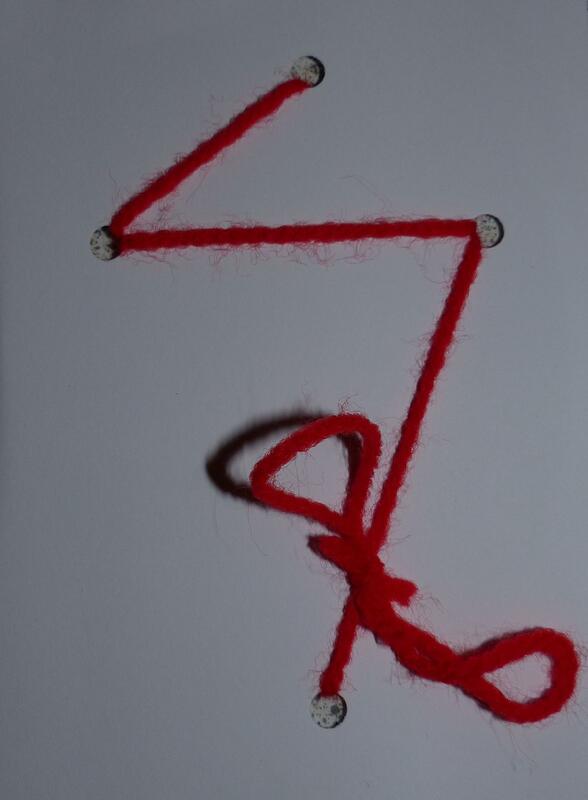 What surprised me was the way they inadvertently drew together an important network of experiences, ‘loose ends’ in my past that I’d almost completely forgotten about during training, but were very significant in their contributions to me being there at all. Ann Morisy was talking to us about community/neighbourhood mission, and started to tell the story of a Mothers’ Union group who, despite age and infirmity, travelled to Zimbabwe carrying old hand sewing machines safely to those who would put them to good use making a living, and teaching future generations, in difficult circumstances. It is unheard of for me to be reduced to tears in a lecture, but I was as she described the impact these ‘radicalised older ladies’ (who allowed nothing to stand in the way of their mission) had on their grandchildren. I remembered the photos our 17 year old son had recently chosen to have printed up which included a large selection of those taken on our trip to Uganda and South Africa when he was nine, largely in connection with Mothers’ Union, and my realisation that they and this, our only trip abroad as a family, has had such a big impact on his view of the world and I guess the purpose of church. It reminded me too, that without Mothers’ Union I’d not be where I am today, as they radicalised this younger woman to contemplate all sorts of things (including foreign travel, preaching… etc.) that I would never have done otherwise. The second ‘loose end’ of my life, was when Steve Hollinghurst of the Church Army (who blogs here) was talking about the necessity for and growth in Fresh Expressions of Church. He talked about the early church plants, represented on the statistics he showed us from 1992/3 when they tended to be ‘church plants’ through to the present day. I sat looking at a quite boring graph (sorry Steve) thinking, ‘I was probably part of one of those statistics’ and remember spending a very important 4 years or so helping ‘plant’ the All Saints congregation of Warfield Church (which also included the Eternity youth congregation, which was much more of a ‘fresh expression, though were were planted into virgin community, so both were valid). That was 1993/4! I wish we’d known then, what Steve was teaching us now, as I think we might have done things at least a bit differently. … into a cross, a cross that I shall carry. In retrospect all these ‘loose ends’ of the past should all have been much more at the forefront of my mind during training, and I wish my memory for the details of my experiences was greater, but this reminders were very much God’s gift to me as Lent closed. 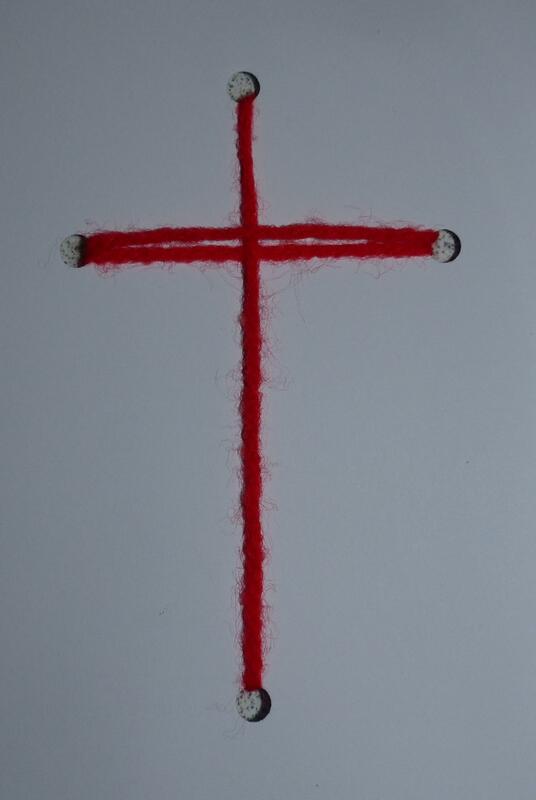 So it seemed so appropriate when at the last Evening Worship of Easter School we were asked to do just that – and in doing so make a cross, which I shall treasure. The last loose end that appeared in Lent, was news that Rt. Revd. John Cavell contributed to the series “Rev”. When this story was posted on Twitter, the name seemed familiar. When I read the article I remembered why – as Bishop of Southampton he confirmed me in July 1979! As part of my preparations for ordination I have today posted off various certificates to the Diocesan Registrar including my Confirmation Certificate. This is a rare beast many don’t have, and instead have to have certified copies of registers and the like. However, my Mother had taken great pains to obtain one for me from Bishop John many years later. She had been prompted by my uncle’s desperate pre-ordination search for proof of his Confirmation, to make sure her daughter had a certificate, just in case! Given this was October 1991 (before the vote to ordain women to the priesthood), and I have the letter to prove it, that was quite some loose end my Mother left for me to tie up!!!! Apparently it is exactly 15 weeks until my ordination as Deacon, according to one of my cohort who dropped that little nugget into a Facebook post today. Frightened. Interestingly the fear is not for what comes after ordination, though there is a nervous anxiety mixed with the excitement for my new ministry in a new place, but instead fear of what needs to be accomplished in the next 15 weeks. I have spent most of this afternoon working through a detailed commentary on Genesis 1:1-2:3 – the creation story (according to P, the priestly contributor to the Pentateuch saga). It was particularly interesting to note that even the most brilliant of Old Testament scholars can’t always resist the temptation to overlay their own theological views onto something they’re trying to be objective about. In her lengthy reflection on the story of Abraham’s thankfully aborted attempt to sacrifice Isaac in Genesis 22, Maggi Dawn poses the question of whether our view of God is skewed by our pride and other misconceptions, or whether we are suitably aware of his abundant grace in our lives? Today, mired in Old Testament theology, it feels like it will only be grace that will get me through this next 15 weeks to the altar. That feels like a far greater sacrifice is needed on my part in this next slog through two portfolios, than the weeks and years of ordained ministry that will follow, though I suspect this is far from true. I need to look day by day to be obedient to the sacrifice that needs to be made, the level of sacrifice that I’ve probably not exhibited so much or so willingly in ordination training as I did in Reader training, so that I can hear God’s voice and experience his grace, directing me to more fruitful times ahead. I still haven’t completely fathomed why I’ve been less willing to give up time and effort to climb the mountain this time round, though I think it started out with an expectation by myself and others that I carried a certain amount of useful past experience with me that would stand me in good stead. True though that might have been of ministry when I get there (and I’m not sure now), I think it has actually hindered the training process. But it’s really time to shoulder the burden good and proper now, before it’s too late. Sorry, bit of a low post, of little use to others, but that’s sort of where I’m at tonight. Well, it’s been a couple of days. Thursday I simply conked out; we’d been to the school production of Cabaret, taken the lad’s girlfriend home (they’ve both been in the pit band) and I simply faded out with no brain left. Yesterday with the husband conked out at the end of his week of 5am starts to keep up with the workload, I did the Cabaret run and simply couldn’t face it afterwards with him snoozing happily at 11pm. I’ve never been great at late nights, and have always needed lots of sleep which I rarely get these days. 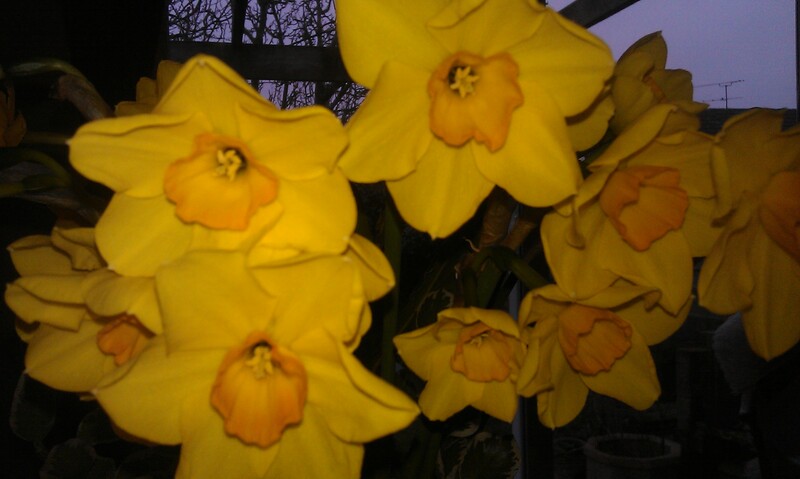 I’m afraid however dedicated I might wish to be to God, Lent or blogging, the need for sleep trumps the lot. It’s also much easier to skip a second ‘thing you committed to do’ when you’ve already skived one. Listening to Craig Charles on Radio 2 just now he’s playing a re-working of the Happy Song that’s been so popular recently. “Clap along if you feel like happiness is the truth… Clap along if you know what happiness is to you…” What is it makes us happy, and do we really know and do those things that build us up? Maggi suggests that as Jesus’ fame and fortune started to spread people were coming to him particularly for the quick fix of what they thought would make them ‘happy’ which was their immediate needs, illnesses particularly. Important those though might be to people’s well-being, when Jesus settles down to teach them what we know as the Beatitudes, he’s hoping to draw them into something that deeper, something that will give them a deep well of ‘spiritual’ happiness for much longer than the initial impact of any ‘cure’ God might of his grace give to those who suffer. Maggi describes the God-given happiness that Jesus’ offered as ‘peace and confidence that God is with us’. Sometimes that’s the only thing that has kept me going through ordination training, alongside the endless advice and prayers of friends, and even then I’m not sure it’s really been ‘peace’ just a sense that I am within God’s care and he will see me through as this calling is ‘of him’. I was only saying to Graham this morning as we enjoyed a walk on Farley Mount that what is probably one of my greatest worries regarding curacy is being able to offer the same transition that Jesus makes in this reading: from being a conduit of God’s care for people in representational and sacramental situations, to getting them to make deeper personal connections to faith in God. That’s something I’m not convinced ordination really equips you for, thinking instead that it can only be learnt through actually doing it, and that I’m sure involves trail and error, and therefore an understanding of God’s forgiveness within the ministers own life. So, hopefully you’ll forgive me for my silence the last couple of days, and I’ll hopefully get back on track again from here through the coming (slightly quieter, for me at least) week. We’ll see; there’s essay research lurking. Graham’s thoughts for today are here – great as usual. Today has been somewhat gentler. 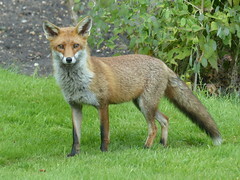 I few chores, a gentle drive back to college and a very long chat with a good friend. Not much work done, but a definite sense that I’ve been frantically on the go without a break longer than Sunday afternoons rugby match on the TV. Really looking forward to a #dayoff with Graham on Saturday though it comes with an early start getting our son to his oboe lesson and youth orchestra rehearsal an hour from home by 9.30am. The second temptation of Christ, in Matthews ordering of the events, seems to suggest that should Jesus fall, he will be saved by the angels of God. We’d all like that wouldn’t we, someone to save us every time we make a mistake, take a wrong turn, trip up? But life’s not like that, and we have to live with the consequences of our actions, whether they be intentional or not. What also strikes me before reading Maggi Dawns reflection on Matthew 4:5-7 was that the Devil was offering Jesus something he didn’t actually need. He wasn’t going to fall, to fail, to branch out and take risks on his own, because, apparently unlike the devil, Jesus understood exactly who he was, the Son of God (Matthew 3:16-17). Maggi talks about the use and more specifically the abuse, of spiritual gifts, to gain money, fame and fortune. We’ve probably all seen tele-evangelists doing their thing, and I can remember how shocked we were travelling in Uganda in 2006 at how much of that style of imported television was being made available on Ugandan TV. She goes on to make the point that whilst material wealth is a far cry from life as a non-stipendiary minister, the dangers that go with local fame for spiritual gifts are no less of a danger. Here’s something that’s a special challenge to me, given that only on Friday, I said once again that the creative act of writing sermons and leading worship, is one way in which I feel close to God. That’s not a bad thing of itself, but what Maggi is highlighting is the danger of that being the only reason why I would chose to preach and lead worship. Being a deacon, and even when ordained priest, you always remain a deacon first and foremost, is about service to others working collaboratively alongside fellow ministers, ordained or lay. In all the excitement of being ordained (which was a key emotion in yesterdays events), feeling as though a long journey of discernment and training is finally being fulfilled in God’s sight, I must remember that this isn’t about MY calling and MY place in the mission and ministry of a particular community, but about God, what he’s doing, who he wants me to reach out to in Jesus’ name, and the joys and burdens of other peoples lives, not my own spiritual gifts and preferences. If anyone tells you that the Church of England, or the Diocese of Winchester in particular, don’t do change… DON’T believe them! Today was Deacon’s Day in the Diocese of Winchester, and despite what I’d been led to expect it was a really good day. I got to see friends, existing and yet to be, as we sat together as a cohort of 12 for the first time. Important information was made as fun as possible, and our Bishop didn’t pull any punches in a seriously inspirational talk making quite plain what we were letting ourselves in for as far as being and ordained minister in the Diocese of Winchester is concerned. He was willing to make himself vulnerable to our sometimes searching questions, and very honest when the answer was ‘we haven’t got there yet’ whilst giving us as much of the ‘game plan’ as he probably could. It was obvious, that if we’re not up for ‘living the mission of Jesus’ now is definitely the time to say so, and take a step back. I remember being part of the Vacancy in See consultation a few years back and the whole of my group told the relevant folk that basically we wanted someone who would bring fresh ideas and a fresh way of doing things. We got exactly what we asked for, and now I get to help be part of the change, part of proving that the Church of England “aint’n’t dead yet”! We also got to meet the lovely Precentor Sue, newly installed last week at Winchester Cathedral. She and the Bishop hadn’t had a chance to meet about this yet, so it was slightly like a game of tag. This was the point where we managed to get the Bishop’s head in his hands, poor man. I almost felt sorry for him as conversations about robes and stoles got very silly in a variety of ways; apparently patent pink DMs aren’t appropriate because pink is not a liturgical colour, and the laces would take too long to sort at the point in the service where the Bishop/s washes our feet! Then I felt sorry for myself. I really must learn that if I’m going to be organised and efficient and get things done well in advance, I can expect to get my nicely laid plans well and truly shot out the water. 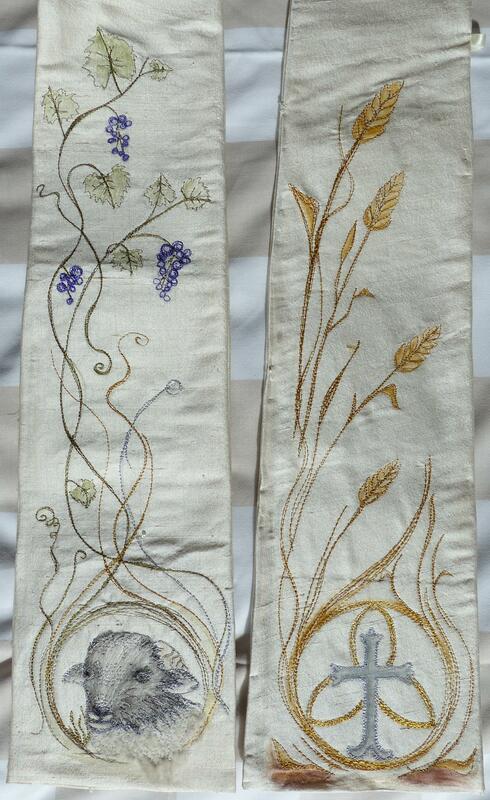 Winchester has always (as far as I’m aware) have always ordained in white stoles, and as regular readers will be aware I’ve got my deeply significant ordination stole all finished and tucked away ready. Or at least I thought I had. So, after that snapshot of having to accept change when you’ve asked for it, Maggi Dawn gets me turning to Matthew 4:1-4 for tonight’s Lent reflection: the devil tempting Jesus, who is fasting in the wilderness, to turn stones into bread. My immediate thought is that it’s not a rock that needs softening to feed our bodies, but our hearts that need softening to feed our souls, and the souls of others; we mustn’t get ourselves set on there being only one way of doing things!!! Maggi notes that the temptation with food whilst fasting emphasised Jesus was as human as you and I, and in turn emphasises our physical existence. I would add that this in turn emphasises that all that we are called to do can ONLY be done through the power of the Holy Spirit but that we need to know when it is appropriate to invoke God’s power in this way. And what better time to do that, than at an ordination service! Red stole it is then!!! PS: Graham’s blog for tonight is here. In todays reflection (First Sunday in Lent) Maggi Dawn highlights the fact that in Luke 5:33-39 it becomes really obvious to those who see Jesus interacting with his disciples that as a community of friends they do not make a particular habit of fasting as was normal for the Jews generally, unlike other teachers of the time. She goes on to talk about the value of old and new, in worship styles, and in churchmanship. As a songwriter and past chaplain of a Cambridge College (now at Yale Divinity School in the USA) Maggi is in an excellent position to say that with authenticity. For me, it’s really interesting how this idea of old and new interacts with some of the things my colleagues and I have been talking about at the weekend. Each of us final year ordinands had to give a presentation about our (all too brief) parish placements, and reflect on a critical incident within them. It proved a fascinating journey around Anglican churches in southern England, featuring some Bollywood dancing (taught to a student on placement in Slough), a 9 parish benefice in a very wealthy area of Wiltshire, a couple of Local Ecumenical Partnerships functioning with various degrees of success and diocesan support on infamous estates, a church with no building to call it’s own and ghastly orange seats but good pastoral outreach, and varieties in worship that included BCP, charismatic evangelical, anglo-catholic Eucharistic, and some that were just middle of the road Common Worship with few frills. In the other group our final year pioneer ordinand stretched the worship context still further I gather. Some were old, some were new, some used borrowed buildings (or lent them out) and one was sadly blue. All were church. Each provided worship in at least one form, some several. They were meeting different peoples understandings of God, enabling the Christ-light to shine in their communities, and feeding different spiritualities. I’ve mentioned elsewhere that I’m moving from an open charismatic evangelical context in my ‘sending parish’ to a high, Eucharistic choral tradition in my title parish (the choral element being the one I’ve experienced very little of till now). In both, other forms of worship are used at some services, including styles like BCP and Taize. I know I meet God in a variety of worship styles, in Word and more recently in Sacrament, in creation and in creative acts, thus my expectation is to develop the skills that mean I can serve communities by being flexible and competent at a whole variety of worship styles that can draw different people closer to God. There was a lot about context too. I can’t see learning Bollywood dancing being particularly relevant to the worship of every parish in the CofE just yet! One parish in my own diocese featured, a place where the image of ‘tent stretching’ was highlighted, stretching from a very traditional building through a congregation planted into a school, homegroups, house communions, Costa-pastoring and youth groups, and more. The apparent success of this (measured in contact points between church and people, not bums on seats) seem to somewhat belie Jesus’ teaching in this passage that you shouldn’t sew new bits into an old garment, and am erring towards the heresy of disagreeing with the Biblical portrayal of Jesus. But, before I’m excommunicated and barred from ordination, what I think is at the heart of this is the need to seek to make Jesus come alive in a way that is authentic for the gathered community, both those who know God, and those who are yet to make that encounter. For, at the heart of this reading is the suggestion that Jesus is the bridegroom, the one to whom we are drawn to spend as much time as is possible. To me Jesus exemplifies the practice of a patchwork ministry, that is just as comfortable teaching on hillsides and in temple courts, challenging the authorities, and healing the sick in the streets and their homes. To be honest, worship styles weren’t something he really focused on, what mattered was about the honesty and authenticity of peoples encounters with him; where they being true to themselves, and simply being attention seeking or trying catching him out. My reflections on the churches I saw presented this weekend was where worship or pastoral practice is simply designed to draw attention to church, it wasn’t drawing local people into an encounter with God. Where worship and pastoral practice were authentic to and seeking to meet the needs of the local community, it was. So that’s where I am tonight, following a patchwork Jesus, and looking forward to encountering him in old and new alike. If you’re looking for Graham’s reflections on this reading, they’re here, and I’m off to read them myself now.